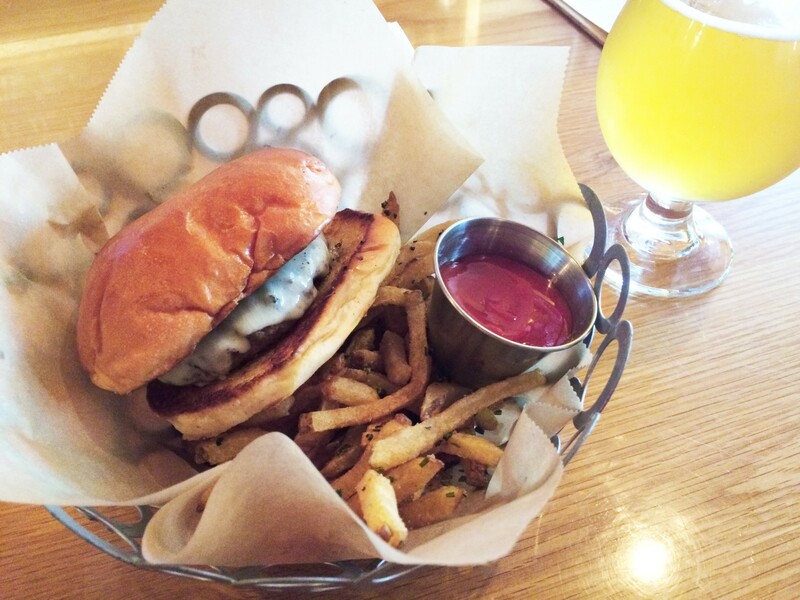 Many people who eat out have come to accept the $15-plus burger-and-fries as inevitable fact. After all, beef is pricey — often $8 per pound, or more if it's local, organic or grassfed. So is the crisp Vermont lettuce, tomato slice and the labor that made the bun, pickle and condiments in-house. But most diners who prioritize quality over pennies are willing to pay the asking price when a burger craving hits, and restaurants add value by serving hulking third- or half-pound patties with a veritable mountain of potatoes. Usually, I'll order a burger knowing I'll eat half of it and save the rest for later. Enter Mule Bar's $8 cheeseburger. In addition to several larger, pricier patties, chefs Collin Parliman and Thom Corrado offer a four-ounce option (that's a quarter-pound). It's juicy New England beef, lightly seasoned and cooked to a cool, pink medium-rare (or whatever temp you request) in the middle. A melty layer of Cabot cheddar clings to the puckish form; its dairy-fat grease mixes with the meat juices and seeps into the brioche, which is substantial enough to soak it all in without falling apart. Still need more fat? Ask for a bit of Mule's silken housemade mayo. You'll want to dip your rosemary-tinged skinny fries in it, anyway. Another thing: A four-ounce burger cooks fast! And with Mule Bar's new hours — open daily at 11:30 a.m. as of last week — this meal is an easy fix for a workday lunch break. For comparison's sake, a McDonald's quarter-pounder-with-cheese meal will set you back $5.79 — just $2.21 less. And there's no beer on draft.